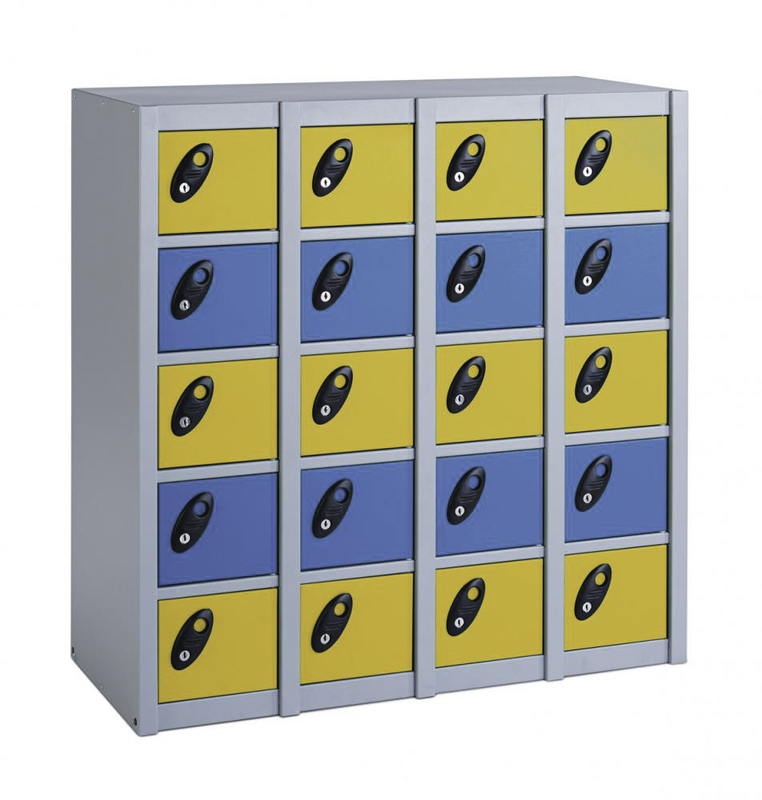 We supply a large range of lockers for most situations school metal locker, office locker and workplace lockers some are available on a next day delivery. We have a wide range of metal lockers to meet your needs. Our Atlas metal lockers are strong and robust and dispatched on a five-day delivery; our Premium lockers form a vast range of locker options that can be modified to meet your needs. The basic Premium locker range consists of 6 door options four widths and three depth options. There are also 14 locker colours within the range. Locking options are limited to what is currently available as locker locks. Probe, Atlas, lockers are all good quality lockers designed for reasonable use in schools.